When the Art Theatre of Long Beach, California reopened its doors after a $1 million restoration, movie enthusiasts could not believe their eyes. The new owners, urban developer Jan van Dijs and his partners Mark and Helen Vidor, had transformed what was once a 1924 silent movie house, ready for the wrecking ball, into a gleaming art deco masterpiece. Using blueprints from the theater's post-1933 earthquake remodel, the new team at "the Art" created a replica of the original marquee resembling the prow of a proud ship. They also turned the two adjoining vintage storefronts into a coffee house and wine bar, recreated a welcoming 380-seat interior, and upgraded the vision and sound technology. "I remember going to the Art on Fourth Street as a kid growing up in Long Beach," said co-founder Mark Vidor. "The Art was one of the few independent, single-screen theaters in the area, but it fell off my radar screen, as it did with a lot of other people." The theater had lost its strong presence in the community. Restoring the Art was a great tribute to the past, but the theater has clearly advanced toward the dawning era of digital cinema projection. When an Epson PowerLite Pro Z8000WUNL digital projector from Epson America, Inc., headquartered in Long Beach, took up residence in the projection room, theater programmer Logan Crow could not believe the quality of its projected Blu-ray and DVD images. Although Crow, a film enthusiast who programs classic fare for the cinema, still spools up the 35mm film projector for most of the theater's independent, documentary, animated and foreign film fare, he and many others in the industry believe nearly all theaters will use digital cinema projectors. "Sooner than we think, the vast majority of what's shown in movie theaters will be displayed on a projector like the Epson, especially with the growth of digital cinematography," he said. 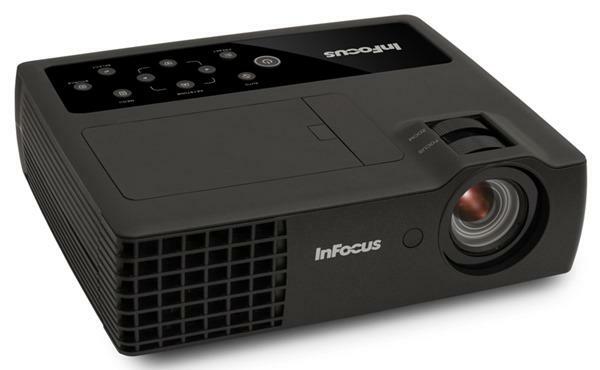 Today, nearly 20 percent of movie theaters use digital projectors or both digital and 35mm projectors. The Epson projector, designed for auditoriums and large venues, plays a leading role at the Art during special screenings, events and promotions. The PowerLite Pro Z8000WUNL is often used on Mondo Fridays, which are special one-night-only, late-night screenings of "favorite creepy, campy, and crazy cult films." Using the Blu-ray disk player and the Epson digital projector, the Art shows pictures like "Mommie Dearest" or "Nosferatu" on Mondo Fridays. After Crow asked MGM for "Ferris Bueller's Day Off," the distributor said there were no prints, but the movie was available on Blu-ray disk. "On the night we honored its director John Hughes, the image quality on our screen was fantastic," said Crow. "Playing the disk on the Epson projector was like showing the actual film print, with rich colors and full dimension, but minus the pops and scratches." The high-definition PowerLite Pro Z8000WUNL brings the Art a powerful combination of brightness, resolution and color, with a 5000:1 contrast ratio, 6,000 lumens color light output and 6,000 lumens white light output, WUXGA resolution (1920 x 1200), and 3LCD, 3-chip technology. The Art is also a special events venue with its advanced sound, lighting, projection and catering packages. The PowerLite Pro Z8000WUNL projector is employed at all of these events, including the recent fundraiser for the Ronald McDonald House in Long Beach. After the screening of the Coen brothers' newest movie, the projector was used to display a 3D walk-through of the Ronald McDonald House plans for potential donors. The Epson projector made a big impression on documentary maker Robin D. Williams, who screened his "Biblical Treasures of Turkey" at a fundraiser for the Long Beach-Izmir Sister Cities Association. When Williams and his cinematographer/editor wife Rosetta first came to see how the documentary looked on the equipment, the Art was still using its old digital projector. "Everything looked fine enough, the image filled the screen, so we shook hands and looked forward to the event," said Crow. In the weeks leading up to the fundraiser, the Art switched to the PowerLite Pro Z8000WUNL. "On the night of the event, they couldn't believe the change in image quality," said Crow. The couple told him they had screened the film at dozens of venues, including the National Geographic Society in Washington, DC. Their footage of the Turkish city Assos had never looked as brilliant and clear as it did on the Epson projector, especially the aerial shots of the region and the bright blue of the water. Should an event require it, the projector can be mounted in either horizontal or vertical position to project images on the wall, ceiling or floor, with an additional tilt operation for off-axis positioning. Other features include a centered lens design, durable LCD panels, dual lamps, and an innovative cooling system. The projector can display HDTV content at its native resolution with quality that surpasses even that of 1080p devices. The Art also uses the Epson projector for on-screen advertising between shows, an important source of revenue for both single-screen and multiplex theaters. "Running a theater is more than just putting a movie on the projector, making the popcorn, and selling the tickets," said co-founder Vidor, who also runs a dental practice in Long Beach. "As a single-screen theater, we compete with multiplexes to get first-run movies like 'The Fantastic Mr. Fox' from the studios," he said. "At times, it's like a jigsaw puzzle where all the pieces keep changing, so we appreciate the dependable aspects of the business such as our loyal patrons and the Epson projector." Contributing to the projector's reliability and low cost of ownership is its easy maintenance and monitoring, filter system and long lamp life. Recently voted the "Best Indie Theater in L.A.," the Art is carrying on a proud movie tradition in Long Beach, where Balboa Films was one of the world's largest independent filmmakers in the early 1900s. "I am really proud of what we've accomplished so far," said Vidor. As the Art begins another chapter in the business of movies, the historic art deco theater continues to reinvent itself as it did after the 1933 earthquake and under the long tenure of former owner Howard Linn. With the revitalization of the neighborhood, the Art Theatre is creating new traditions and keeping up with technology like the Epson PowerLite Pro Z8000WUNL projector.